You're invited to be the special guest of Tennessee National and enjoy this package starting from $199! * Explore the abundance of lifestyle and real estate opportunities that await you at this premier private, gated community. Windriver Lenoir City TN 3 Day / 2 Night Discovery Package: Windriver presents the WindRiver Discovery Package for those interested in touring the community and experiencing its lifestyle. Package is priced at $249 plus tax and includes 3 days/two nights lodging at the WindRiver Lakeside Inn. Activities include a round of golf for two at the WindRiver Golf Course, scenic boat tour departing from the private marina, dinner for two at WindRiver’s fine dining venue, Citico’s Restaurant & Club, plus breakfast each morning. Send me more information about Windriver! Colleton River Plantation, Bluffton SC invites qualified potential members to try a Member Experience visit. The package (price is available by request) includes accommodations for two nights in a Colleton River Cottage and a round of golf on the Jack Nicklaus Course and also on the Pete Dye Course. 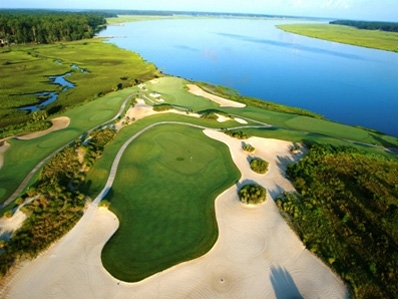 Come visit Oldfield private golf and amenity community on a Discovery Package and learn about the Lowcountry life! You’re invited to visit PGA National as a guest of Jeff Lichtenstein of Jeff Realty to get an inside look at this world-famous resort and community. This invitation is good from now through September. Solivita, Poinciana FL, a 55-plus community, is featuring a Discovery Days package for a special rate of $129 now through Aug. 31. For 3-days and 2-nights enjoy accommodations in a fully furnished guest home, use of a personal golf cart to explore the community plus complimentary lunch and dinner. Enjoy a day of play on the championship golf course, featuring four sets of tees. Willoughby's golf course allows players of any handicap to enjoy a challenging game. 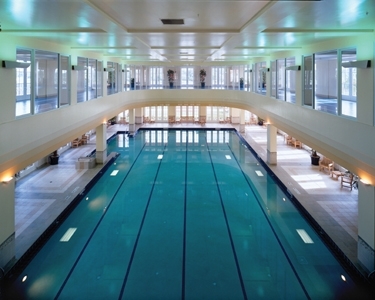 Or enjoy a game of tennis, followed by a dip in the heated pool. Teton Springs Resort, Victor, ID , which was recently named the “Best Hotel in Idaho” for the third straight year by U.S. News and World Report, is offering a number of Winter and Spring Packages so it is easy to come visit the area, look at real estate, and stay right in this great community. Amelia Island Plantation, Amelia Island FL is promoting its Big Break Getaway Package as the Golf Channel’s new season of Big Break Florida returns to the resort beginning Mon., Feb. 24. The Landings on Skidaway Island, GA Discovery Package is an "invitation only" opportunity (and you are invited!). Stay for 4 days/3 nights, or add another day. Play golf, sail, bike, get fit and much more. Learn what this magical island is all about from up close!